Thanks to two of our good friends, “Pickles” Keith and “Walking Nashville” Bill, for pointing this current New York magazine story in our direction. It’s a great in-depth story about the continuing “Brooklyn Pizza War” and how Patsy is getting ready to re-enter the pizza business in his new place at the site of his original Grimaldi’s. (See our earlier story at this link.) 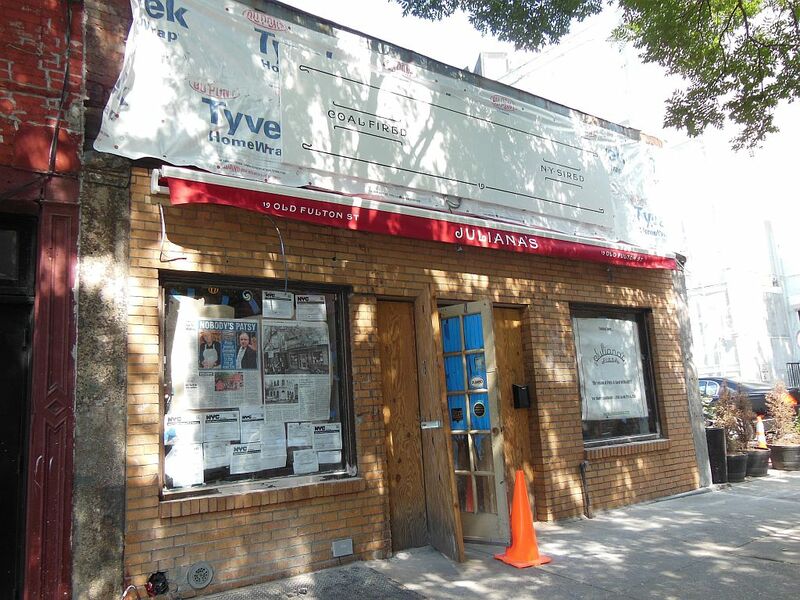 Here’s what Juliana’s looked like when we visited Brooklyn while it was still under construction.